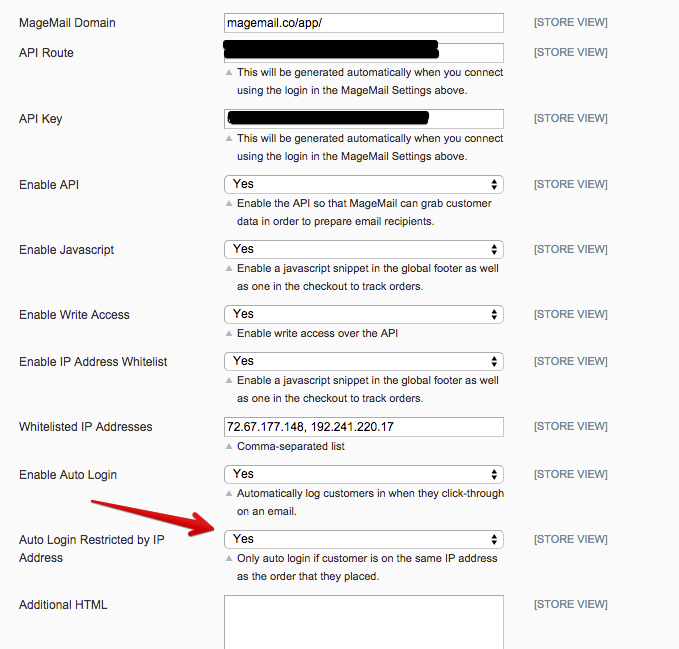 If the *Auto Login Restricted by IP Address* is enabled, it makes testing a little tricky because you're not going to be at the same IP address as the customer whose email you're testing. This makes it so that if someone else attempted to login to a customers account using that email, it wouldn't work unless they were at the same IP address s that customer. However, this makes testing a little bit tricky because you're not going to be on their IP address either. What you can do to test it is temporarily disable the IP address restriction, and then enable it again after testing.